I have a Victorinox Swiss Army Knife that has featured in my 'every day carry' for almost a decade; it still performs like new, and in an invaluable asset. I recently discovered that the Swiss brand makes a bike tool, and I was keen to see if it lives up to the same exacting Swiss standards. 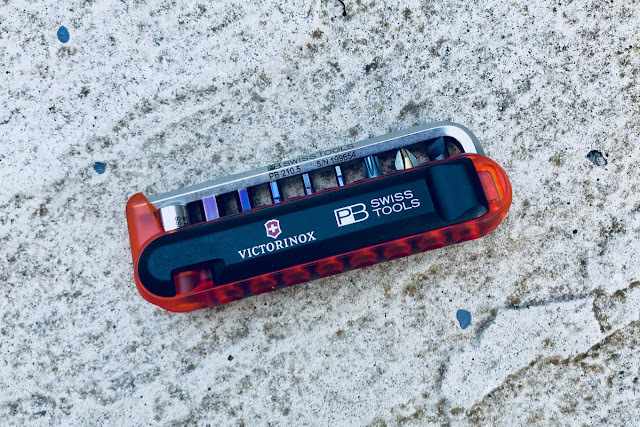 The Victorinox Bike Tool is effectively a mini socket set: the magnetic 5mm hex key detaches from the tool holder and then you fit any bit piece to it: the range includes 2-6mm hex keys, a T25 Torx key, and flat and cross-head screwdriver bits. All the bit pieces are made from high tensile stainless steel, and have a very good fit in bolt heads; promising not to round off fittings if used correctly. The body of the tool also features two clip-in tyre levers, which are made from strong plastic composite, and do a good job of levering stubborn tubeless tyres from wheel rims, as well as having a nice rounded profile to protect the tube. 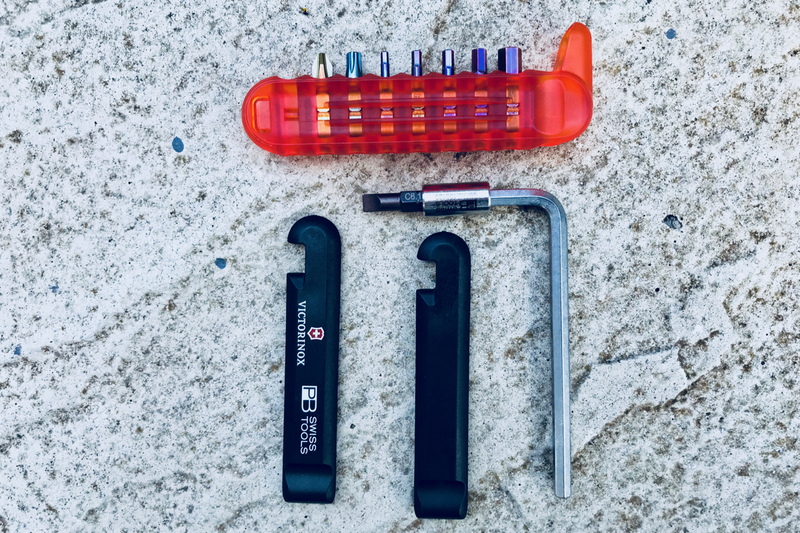 The whole bike tool weighs just 92 grams, and is 100mm in length; creating a compact little tool that would fit comfortably in any saddlebag or jersey pocket. The only downside that I can find with the Victorinox Bike Tool is that it doesn't feature a chain tool. This is a shame, as it is one tool that I believe every rider should carry with them; a broken chain will undoubtedly end your ride if you can't remove the old pin and fit a quick link. I have seen other small tools like this deliver a chain tool functionality (think the Pedro's Tulio QR Tool), so I wonder slightly why Victorinox didn't build it into the design. Overall though, this is a pleasingly superb Swiss tool. Bar the chain tool, it features all the tools you could need for most bike repairs, and I also like the fact that you can remove the screwdriver bits to make it 'hand-luggage friendly' when flying. This is a great little addition to any cyclist's 'Every Ride Carry'.